National Certificate in An Introduction to Horticulture at SCQF level 4 develops both knowledge and technical skills — but with an emphasis on practical delivery, reflecting the nature of the horticulture industry. Learners will also have the opportunity to develop Core Skills and other essential skills which employers value. National Certificates are practical qualifications designed to equip learners for further study or to gain employment. 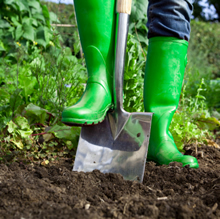 The National Certificate in Horticulture: An Introduction at SCQF level 4 combines practical activities and project work with the necessary underpinning knowledge. It is a basic introduction to the sector and is primarily intended to give school leavers some practical experience and the possibility of progressing to further study. There are no specific mandatory entry requirements for this award. Although entry is at the discretion of the centre, an interest in horticulture would be beneficial, as would an interest in the environment, sustainability and conservation. Recommended entry requirements are indicated in each Unit specification. Candidates who have completed the Skills for Work: Rural Skills C239 10 award may also wish to continue studying at this level (SCQF level 4). It is anticipated that candidates have Core Skills at Access 3 in all five areas (Communication, Numeracy, ICT, Working with Others and Problem Solving). It is expected that Core Skills profiling will be carried out if a candidate has no formal record of Core Skills achievement. It is recommended that learners with no formal qualifications are offered an interview where they can gain an insight into the course content and structure. Mature adults with no formal qualifications may be given entry to the course at the discretion of individual centres. Candidates who achieve this NC could progress to an SCQF level 5 course in Horticulture or a similar qualification. This National Certificate in Horticulture consists of six mandatory Units at SCQF level 4 and a further six optional Units (from a choice of 32) at SCQF level 4 and 5. This award has been developed to facilitate flexible delivery and assessment. Although both practical and theoretical in nature, the emphasis in all Units is practical.